There are two general views in how to attain longer nails – nail hardeners and nail oils. In conclusion, nail hardeners are a great way to quickly grow nails for an important event, but not as an extended or long term care plan. Nail hardeners should not be overused because they remove the nails’ moisture, which allows nails to grow by resisting breakage, but do not add to the growth process. There a variety of nail oils offered and generally are aimed to hydrate nails so they become more resistant to breakage. 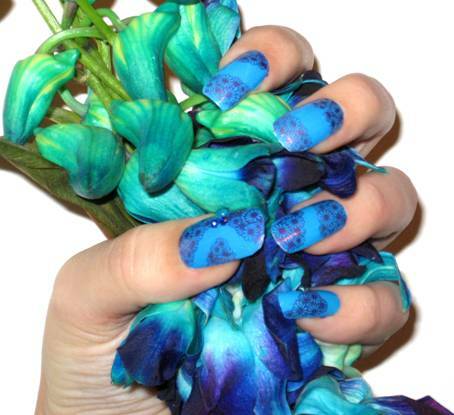 Having hydrated nails makes it more bendable so it will be resistant to breakage when the shape of the nail is changed. If nails are not properly hydrated, it becomes brittle and is more prone to breakage if the nail is bent. Nail hydration alone will not promote nail growth; it will just prevent the nail from forming ridges, breaking, or chipping. To promote growth additional factors are needed. Vitamin deficiencies are common in today’s lifestyle. That is why Scratchers Brand Nail Oil contains vitamins necessary for nail growth. Vitamin E has been shown to promote nail growth and is used to treat “yellow nail syndrome”. Scratchers uses only naturally sourced, full spectrum, antioxidant, vitamin E. Other types of vitamin E may lack the necessary components (tocopherols / tocotrienols). You can tell the difference between high quality naturally sourced vitamin E oils by their rich, dark yellow-orange color. Scratchers also realizes the importance of Omega essential fatty acids in nail health and adds a range of omega fatty acids to their fortifying Nail Oil. An example of why omega nutrients are important is Omega 3. Omega 3’s can not be produced by the human body and are helpful in preventing splitting and cracking. Conclusion: Nail Oils are a good long term measure for promoting longer nails. Results can be seen as early as 4 weeks. By hydrating the nail, it will be less likely to break and therefore will have a longer time to grow. Vitamin E has shown to promote nail growth and ensures a healthy color 1. • Vitamin A: Yellow and Orange fruits, Dark Green Veggies. • Vitamin D: Dairy products. Protein is also essential for maintaining good health and strong, long nails! Increasing protein intake can help increase the rate of nail growth. A typical person will need 20g-30g of protein per meal. A proper protein serving could be 100g of cooked beef. More than this amount within a 2 hour interval will not usually be digested properly resulting in higher nitrate levels within the body. Diet is one of the best ways to take care of your (nail) health. Hence, a proper diet rich in essential nutrients and protein is just as important as nail maintenance in the pursuit of long, healthy nails. 1. Williams HC, Buffham R, du Vivier A.Arch Dermatol. (1991). Successful use of topical vitamin E solution in the treatment of nail changes in yellow nail syndrome. Jul;127(7):1023-8.